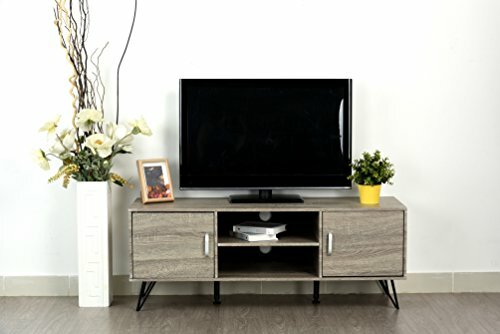 Bring convenient media storage to your home with this contemporary weathered grey oak finish TV console. This TV console features 2-tier of shelving and 2 Doors for extra space which is perfect for movies and game collections. Featuring a sturdy construction which makes your living space, the ultimate entertainment room. Measures 18 inches high x 48 inches long x 16 inches deep. Assembly required.